There are many ways to add years to your life, like eating well and exercising, for example. But did you know that knowing and following your purpose in life can also help you live longer? Not long ago, a scientific journal called The Lancet published the results of an important study. In it, researchers surveyed nine thousand people over age sixty-five to find out which ones felt their life had purpose and meaning, and which didn’t. The researchers then monitored the health of all of the participants for more than eight years to see if feeling more purposeful in life meant you would live longer. What the researchers discovered was that the people who didn’t feel like their life had purpose or meaning scored low in the areas of mental and emotional well-being. They also had higher levels of stress hormones, like cortisol, in their bodies over time. As you may already know, stress hormones can negatively impact everything from brain function to heart health and immune regulation! In other words, the people who said they didn’t feel a lot of purpose or meaning in their life were more at risk of bodily distress and illness, which means they were likely to not live as long as others who felt more clear and directed in their lives. You may know what your purpose in life is. If this is the case, that’s wonderful! Or, like many people, you may feel you don’t know exactly what your unique purpose is. If this is the case, it’s important to know that your life purpose doesn’t have to be grandiose, or involve becoming famous or incredibly wealthy. Finding and honoring your purpose in life means regularly doing and being what gives you an exalting feeling of ALIVENESS. And the amazing thing is, if your purpose is driven by what gives you life, that may even change over time. You can have many purposes over the course of a lifetime! If you’re unclear on what your life purpose is right now, you can begin finding it out by paying attention to what activities and interests make you feel happy, inspired and energized. Is there a particular hobby you have that fills you with inspiration and joy? Or perhaps you long to do something you haven’t done before, like write a book or learn to paint? You may even feel a desire to make helping others your life purpose, just as I have! Ask yourself this question, and really allow yourself the freedom to entertain the thoughts that come for you. You may even want to journal your ideas! Think about the physical signs of being love – your heart beats faster and you feel super energized. You feel a sense of aliveness! So when you focus your attention on what you would most love to be, do, have or give, pay attention to how the ideas you generate make you feel. Do you immediately perk up and feel a greater sense of vitality? If so, explore those ideas further. Asking yourself what you would love is an important step in discovering your life purpose, and in creating a life you truly love living. I’ve been coaching and mentoring others in how to apply transformational principles to their lives for over 35 years. My mother, Dorothy Manin, had always been aware of my work. She’d always supported what I was doing, but she’d never really participated in the work I did. Then, at 85 years old, my dad passed. He and my mom had been married for 63 wonderful years, and so losing him was devastating for her. She felt lost, lonely, scared, and not sure of what direction to take next in her life. This choice of hers marked the beginning of an amazing seven-year process that became the most creative years of my mother’s life. Not only did she live seven more years, well into her 90s, but she thrived during that period. This is because she followed what she loved, and it gave her a sense of overwhelming aliveness! RELATED: What is a paradigm shift? My mother learned to paint china plates. She gave her beautiful creations as gifts to our entire family, and she even showcased her work in a few art galleries where she lived in Oregon. She also decided to become a published author, and wrote a successful, inspiring book with all of the proceeds going to a non-profit she started that helped the wives of veterans. 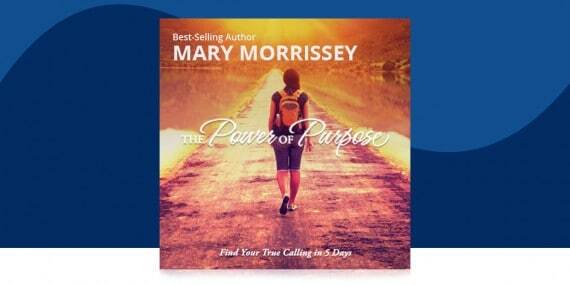 The point is, she lived into her greatest purpose and doing so gave her a longer, more joy-filled life. So you see, it’s never too late to answer your calling! Once you identify your life purpose, once you’ve taken the step and asked yourself what you would love, and identified it, ideas will start to come to you! Opportunities will present themselves to you in places they didn’t previously. 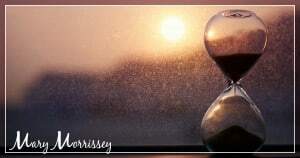 When you know what gives you life, you’ll feel more energetic and driven, and you’ll always feel able to make time for what is most important you. What is one thing you’ve done in your life that has helped you to find your purpose in life? What gave you that feeling of ALIVENESS? Leave a comment and let me know! Have you ever wondered, “What is my purpose?” Introducing “Developing the Mastery of Intention,” a free 10-minute guided audio meditation. 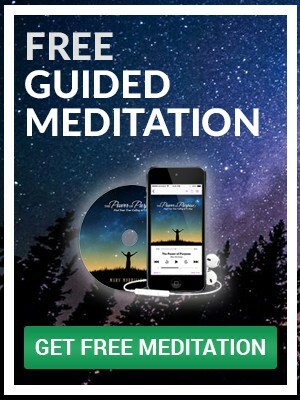 Normally, you can only access this audio download inside my Power of Purpose™ meditation series, but right now, this meditation is my gift to you, absolutely FREE! I have been blessed with a strong beautiful voice for singing. When I am singing it’s like the whole world around me is listening, even when I’m alone. I also would love to make people laugh by the way of stand up comedy and funny songs. I don’t know how or where to get these talents on the go. Thank you for your inspirational messages and Hope that things will come together for my family. I agree with you fully . I have been doing it for the last 30 years for which I received The UN Human Rights Award same as Mandela and MLK. Join this effort please write to me. Thanks for those answer, that makes sense.